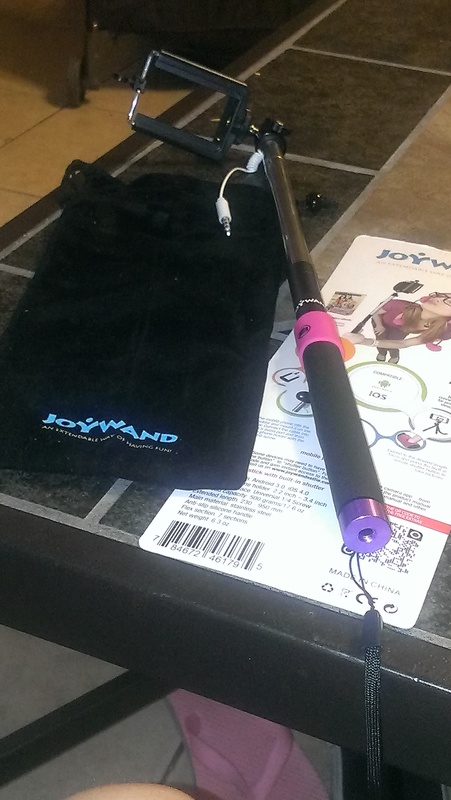 I was chosen to review this selfie stick it is by Joy Wand. 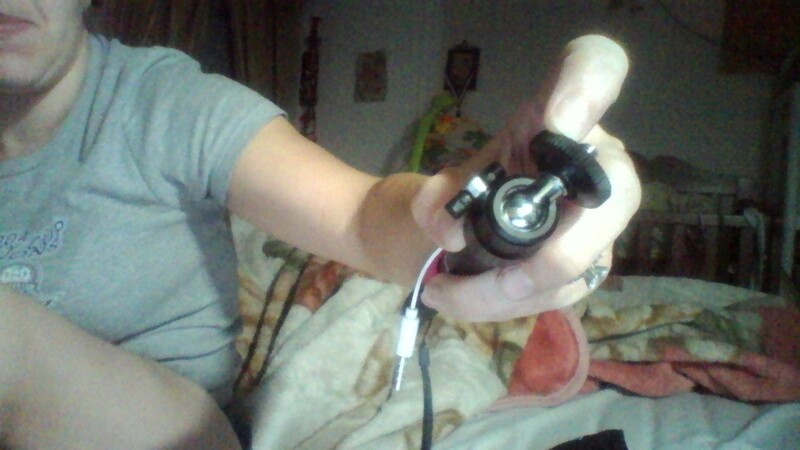 Selfie sticks can be Bluetooth or like this one connected through the headphone jack of the cell phone jack. The ones that connect through the jack are more for phones I feel are for those, that don’t have the Bluetooth option. As, you can see above in the pictures, this comes with a nice carrying pouch and the selfie stick that is black, pink and purple. I really like how this selfie stick worked, you don’t have to download any programs, but on some phones you will have to configure the shutter option. I know I did and I have the HTC Beats audio android phone. Every that I would go to take a picture it would show the volume going up and down. 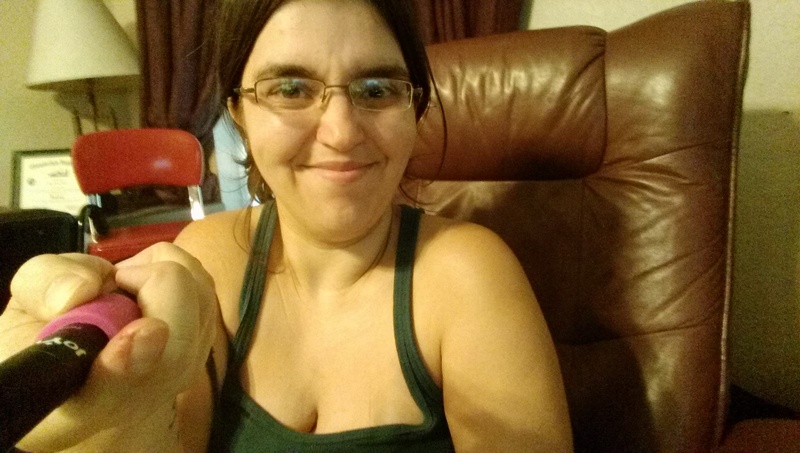 So, I did have to go in my camera option settings and change that, so I am able to use the selfie stick. I do love the carrying bag that came with it, it is like a velvety. I like how the cellphone holder unscrews from the wand easily fits into the bag along with the stand. The holder and stand have enough room in the bag that if you wanted to can hold your cellphone as well. I like how the drawstring are, they are elegant in my opinion. They look very sturdy and heavy duty. 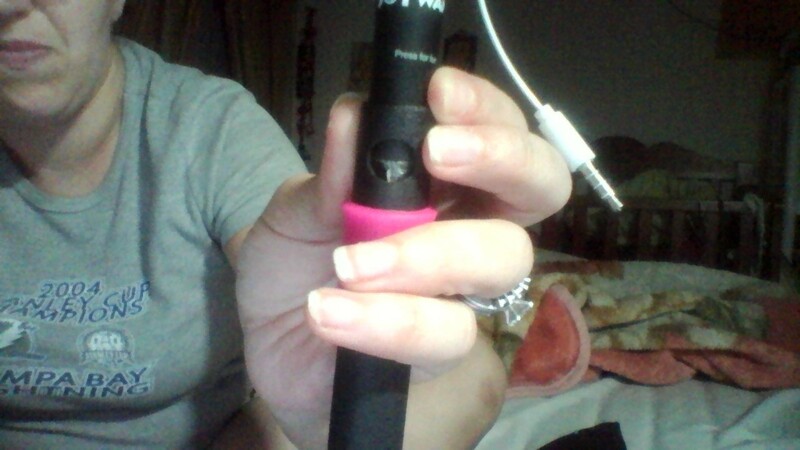 The selfie stick itself is heavy duty and very nice, there is only one issue I have with this stick is after a couple of uses they button to take pictures did break on me , and I did notify the company about it , I am waiting on there reply on that, which is not a big deal since I did get this as a discount rate for the review. I have to say while taking the pictures was a little weird due to the fact the holder when applied to the stick moved back and forth, its hard to put, but you can see in the picture the ball, also the piece that broke. 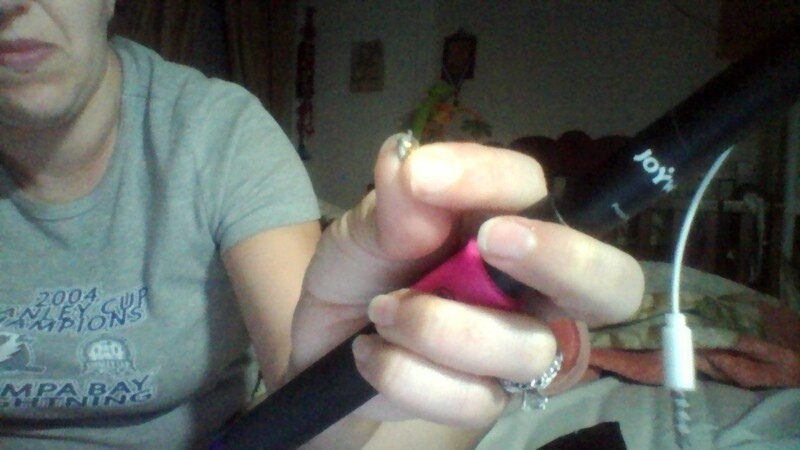 But, I love this stick, it took amazing pictures, I took a few pictures, and placed one on here above. I received this as a discount in exchange for this review.